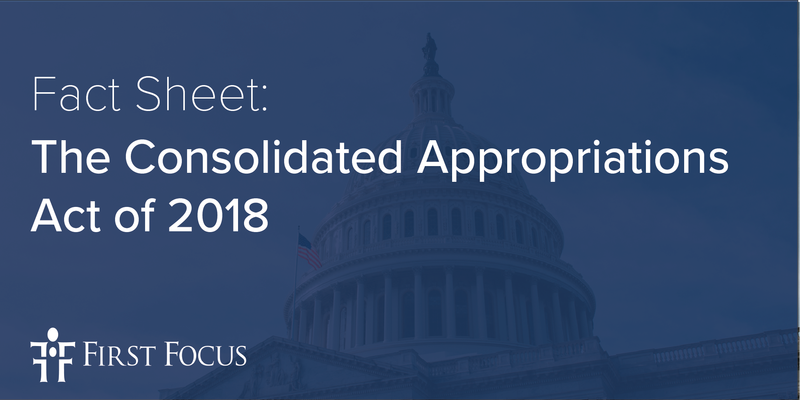 On March 23rd, 2018, President Trump signed into law the Consolidated Appropriations Act of 2018, an omnibus spending bill that funds the government for the final six months of Fiscal Year (FY) 2018. The $1.3 Trillion spending package includes increased investments in several programs serving children and families, though some fared better than others. This fact sheet analyzes increased investments in programs serving children, as well as funding decisions that raise concern.